Everything you need to know to buy or adopt a Vizsla puppy or adult dog. Is a Vizsla the right breed for you? Are YOU right for a Vizsla? Should you get a male or female Vizsla? What age should your new Vizsla be? Where can you buy or adopt a Vizsla? Vizslas are very common in the United States. 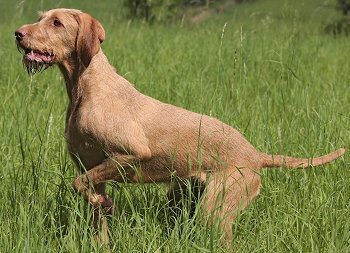 Out of 189 breeds in the American Kennel Club, where 1 is most popular and 189 is least popular, Vizslas rank 31st. Unfortunately, I've met a lot of Vizsla owners who chose the breed because of its handsome appearance and reputation for a gentle temperament. Those are both true, but people underestimate how much exercise and daily companionship this breed really needs. When Vizslas are restless and bored, they will destroy everything in their path. This is an active hunting dog, bred for the Great Outdoors, not a casual pet to hang around the house or yard. Vizslas are available from Dog Rescue groups. Vizslas may be turned over to Rescue because they need much more exercise, daily attention, and interesting things to do than the owner expected. 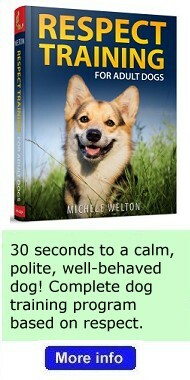 There might be barking issues, or shyness/anxiety issues. 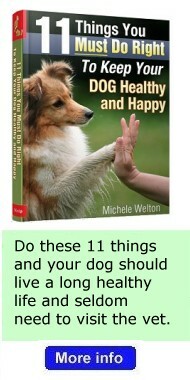 You would need to provide these dogs with the exercise, training, and socialization that they are lacking. Other Vizslas are given up simply because of changed family circumstances, and these dogs may have no behavior problems at all. Vizslas are occasionally found here, but Vizsla rescue groups do keep their eyes peeled on shelters and humane societies across the country. If a Vizsla turns up at a shelter, the rescue group does try to move the dog into their rescue network. You can buy a Vizsla from a show breeder, who breeds dogs to match a detailed standard of appearance for the dog show ring. Or you can buy a Vizsla from a performance breeder, who emphasizes an energetic temperament and strong working drives for hunting. Some breeders are a combination of show/performance, though how they prioritize those two goals varies greatly. You can also buy a Vizsla from people who "just breed pets" or "just had one litter." But should you? Be sure to read the article to learn more about these people. 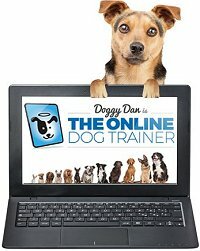 If a seller can't show you those certificates, the puppies are higher risk for health problems. You might choose to accept that risk. But then you need to be willing (and able) to pay a couple thousand bucks for future surgeries and lifelong meds if your Vizsla ends up with cataracts, thyroid disease, and bad hip joints. Vizslas are sometimes found in pet shops. I have plenty to say about buying a puppy from a pet shop! How to test the temperament and personality of Vizsla puppies and pick the best puppy in a litter. Should you consider buying only AKC registered Vizsla puppies? Do AKC papers and pedigrees really matter?